Comics Experience Blog: Karl Kerschl and Justin Jordan - Upcoming Guests on the Creators Workshop! Karl Kerschl and Justin Jordan - Upcoming Guests on the Creators Workshop! AND a Workshop session with writer Justin Jordan on his writing, including The Strange Talent of Luther Strode from Image, Team 7 from DC Comics, and Shadowman from Valiant! On November 13, 2012 at 9pm Eastern Time, we'll be discussing The Abominable Charles Christopher with Karl Kerschl. Karl Kerschl has been drawing comics professionally for 15 years. He has worked on Superman, The Flash and the Teen Titans, among other heroic things, and has also published collections of his weekly webcomic, The Abominable Charles Christopher, the second volume of which is now available. He lives in Montréal with his wife and his cat, Jacques Cousteau. "To say it's like an unholy mash-up of Walt Kelly, Jeff Smith and Sumerian Mythology is true, but it misses the point completely. It is it own thing, and it does what comics do best: make a world and draw you into it." The story has won the Shuster Award for Best Canadian Webcomic in 2010, and the Eisner Award for Best Digital Comic in 2011. It updates weekly at www.abominable.cc. Volume 1 and Volume 2 print collections are also available. Then, on Tuesday, November 20, 2012 at 9pm Eastern Time, we'll be joined by writer Justin Jordan! 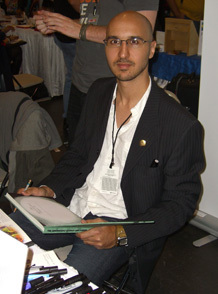 Justin is the co-creator and writer of the hit Image comic book The Strange Talent of Luther Strode. 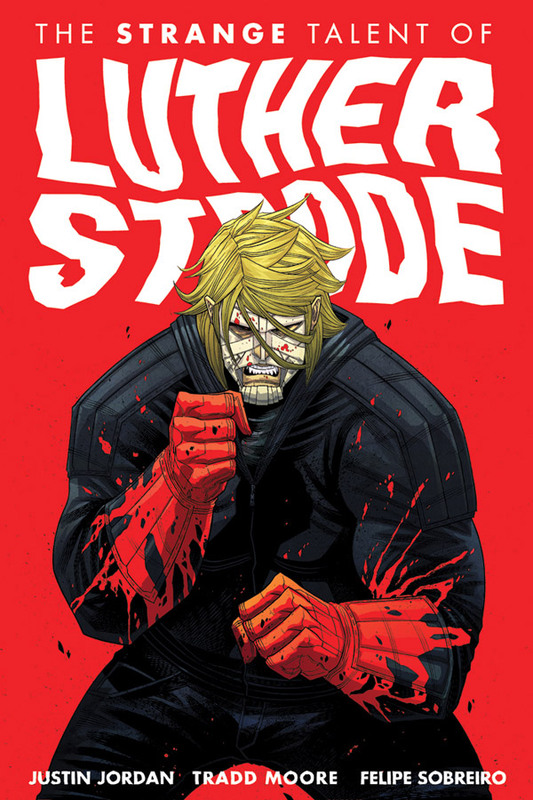 Luther Strode was a six-issue mini-series following the tale of an average teenager who orders The Hercules Method, a bodybuilding course advertised in a comic book, that promised to make a man of him. But it didn’t just make him a man, it made him a super man! 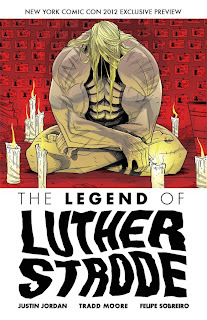 Comics Bulletin called Luther Strode "...a magnum opus of guts, gore and ultra-violence hanging within the frame of morality." And CBR said it was an "...awesome, nasty, gripping, crazy, fun comic...by the kind of new voices that comics needs, an energetic infusion of raw talent." 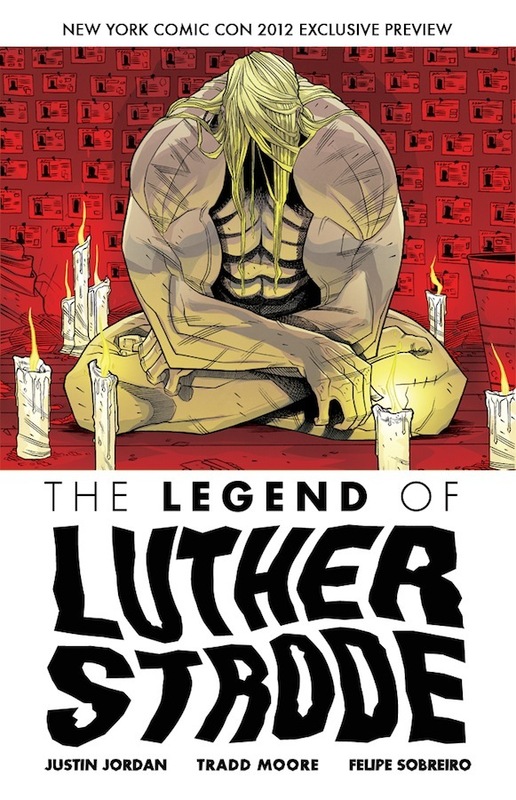 A sequel, The Legend of Luther Strode, hits comic shops in December from Image Comics. 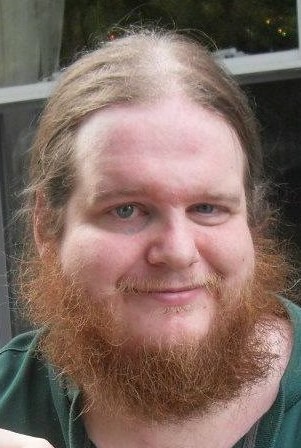 Justin lives in the wilds of Pennsylvania, and has worked as everything from a lumberjack to a librarian. He says he's settled on writing because "...it doesn't require an axe, which was a flaw in both lumberjackery and librarianhood." In addition to Luther Strode, his comics work has appeared in more than a dozen anthologies. The success of the Luther Strode series has led Justin to writing gigs with both DC Comics (Team 7) and Valiant Entertainment (Shadowman). His work on Team 7 garnered a story and special preview on USA Today, which can be viewed right here. We're looking forward to great discussions with Karl and Justin!